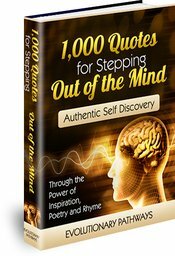 Quotes about character speak right to the heart of desirable life change, self-development and goal achievement. Success never brings true satisfaction unless you've become a better person in the process of achieving it. Inspirational quotes can be used to change character. Use them consciously; use them well. So character refuses to be changed by the world? That’s interesting. We often think of character as pretty much synonymous with good. A person of character is a person of good character right? At least that’s how conventional wisdom would have it. What does good character actually mean? The answer would have to depend on how we choose to define ‘good’ and ‘bad’. Yet are all good people of strong character? Are all bad people of weak character? Character seems to go deeper than mere moral definitions of ‘good’ and ‘bad’. Perhaps character has a goodness all its own. Character is forged on the backdrop of adversity - it’s shaped, honed and tested by the very things that would otherwise destroy it. Adversity may be different for different people yet when the going gets tough for you - that’s when character enters the picture. Character is a prize won on the battle fields within. This is probably why a refusal to be changed by the world may well be a better measure of character than actually wanting to improve it. When it comes to character - motivation and intentions are only part of the picture. It’s our nerve and sinew…our fibre - not driver - that’s put to the test. “Don’t ask what the world needs. Ask what makes you come alive and go do it. Because what the world needs, is people who’ve come alive” (~Howard Thurman). I’ve always loved this quote which points to a connection rarely made between character and inspiration. These questions point to an inspired path - an evolutionary pathway if you will. You don’t follow such a path because the world wants you to. You follow it because inspiration needs you - the whole of you. But the world won’t easily let you go. Inspiring character quotes can come to our aid. The world may think it owns you. But you know that just isn’t so. Use these quotes about character to inspire and solidify your resolve to live your life. "Men acquire a particular quality by constantly acting a particular way...you become just by performing just actions, temperate by performing temperate actions, brave by performing brave actions." "Public opinion is a weak tyrant compared with our own private opinion. What a man thinks of himself, that is what determines - or indicates - his fate." "To live each day as though one's last, never flustered, never apathetic, never attitudinizing - herein lies the perfection of character." "Cowardice asks the question - is it safe? Expediency asks the question - is it politic? Vanity asks the question - is it popular? But conscience asks the question - is it right? There comes a time when one must take a position that is neither safe, nor politic, nor popular; but one must take it because it is right." "You should not live one way in private, another in public." "All virtue is summed up in dealing justly." "There is one thing alone that stands the brunt of life throughout its course: a quiet conscience." "If you would convince a man that he does wrong - do right. But do not care to convince him. Men will believe what they see. Let them see." "Everyone has the obligation to ponder well his own specific traits of character. He must also regulate them adequately and not wonder whether someone elses traits might suit him better. The more definitely his own a man's character is, the better it fits him." "The moral virtues, then, are produced in us neither by nature nor against nature. Nature, indeed, prepares in us the ground for their reception, but their complete formation is the product of habit." "In the men of highest character and noblest genius there is to be found an insatiable desire for honour, command, power and glory." "Be mild with the mild, shrewd with the crafty, confiding to the honest, rough to the ruffian, and a thunderbolt to the liar. But in all this, never be unmindful of your own dignity." "Put more trust in nobility of character than in an oath." "The company of just and righteous men is better than wealth and a rich estate." "The truth is that there is nothing noble in being superior to somebody else. Real nobility lies in being superior to your former self." "The difference between a moral man, and a man of honor, is that the latter regrets a discreditable act, even when it has worked and he has not been caught." "When a good man is hurt, all who would be called good must suffer with him." "Be honorable yourself, if you wish to associate with honorable people." "When good men die, their goodness does not perish, but lives though they are gone. As for the bad, all that was theirs dies and is buried with them." "Human dignity has gleamed only now and then and here and there, in lonely splendor throughout the ages, a hope of the better men, never an achievement of the majority." "Remember this - that there is a proper dignity and proportion to be observed in the performance of every act of life." "During a blacksmithing demonstration, the apprentice stopped hammering the hot iron bar and asked his teacher, 'Is it straight enough?' The old master replied, 'It's either straight or it ain't.'" "Let not a man guard his dignity, but let his dignity guard him." "Dignity comes not from control, but from understanding who you are and taking your rightful place in the world." "There is a healthful hardiness about real dignity that never dreads contact and communion with others, however humble." "Those who are ashamed of what they ought not to be ashamed; and are not ashamed of what they ought to be - such men, embracing erroneous views, enter the woeful path." "Virtue is the roughest way, but proves at night a bed of down." "A fair exterior is a silent recommendation."